Register today for JAC's 7th Annual Power of Women Luncheon. JAC members stuffing invitations for this years 7th annual Power of Women Luncheon. If you are in the Chicago area on June 11th, we hope to see you there. This will be the best luncheon yet. Syria and Iran are trying to push Israel into war. The NRA is helping Russia develop rifles that will threaten the safety of U.S. soldiers. The President wants to separate immigrant children from their families. Unqualified judges are receiving lifetime appointments. A woman's right to access safe, legal reproductive healthcare is threatened. Where do we turn first? JAC's issues, our democracy, the respectability of the presidency and our world standing is under constant attack. It seems our country is unraveling with no moral compass to guide us. Our President thrives on chaos and distraction. He is hoping that no one will notice the state of affairs in our country and that we will forget about the Mueller investigation. But we won't and can't. It is our responsibility to remain informed on the issues we care about. We need to wade through the noise and stay engaged. While these days seem dark, despair is not an option. The midterm elections are less than six months away. JAC is already making plans to help our candidates get out the vote. Bring your friends and help our efforts. We can't afford to become lost in constant chaos. Trump's agenda will remain unchecked unless we change Congress. It's not too late to start today. Join JAC. Support JAC candidates. Stay informed. 300 days is too long for such an important position to go unfilled, and for antisemitism and hate to go unanswered. Find your Senators & Representatives here. 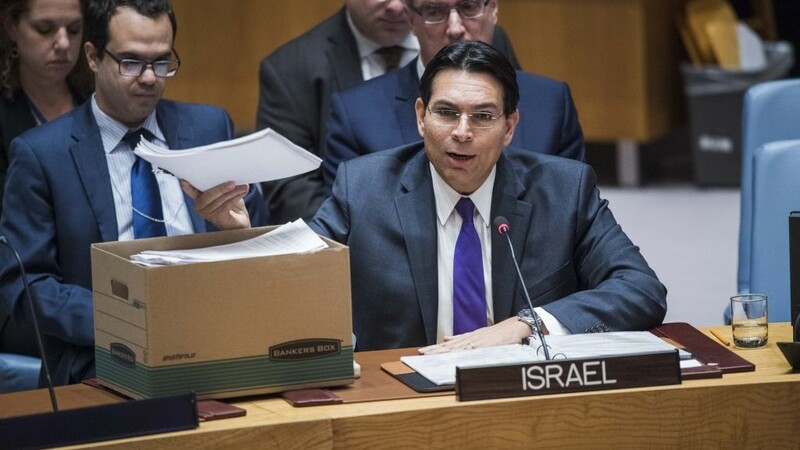 In a fiery letter also addressed to UN Secretary-General António Guterres, Danon stated that "Israel holds the government of Iran, together with the Syrian regime, directly responsible for this attack and we will continue to defend our citizens vigorously against all acts of aggression." I Voted Against the Iran Nuclear Deal. Withdrawing from It Is a Mistake. 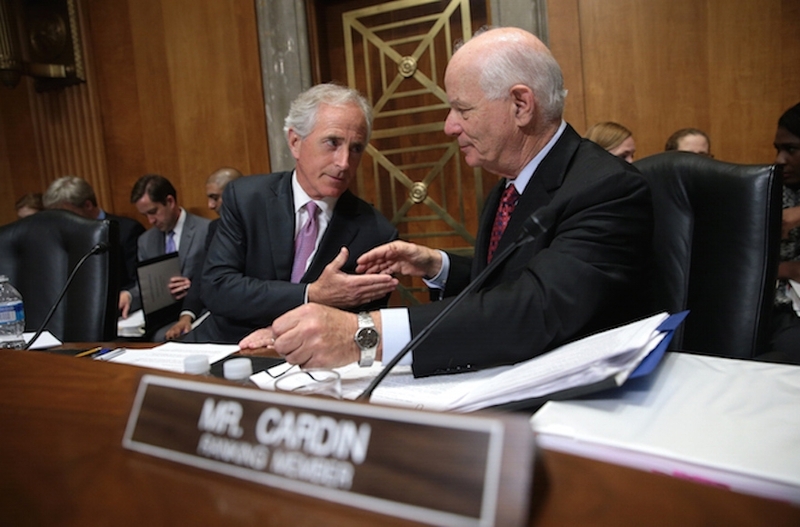 I voted against the Iran nuclear deal three years ago because I felt it left certain long-term questions about Iran's enrichment capabilities unanswered. Since it was entered into however, I have worked to ensure there is rigorous enforcement and oversight of the deal. But just because he can leave the agreement does not mean he should. The Iran nuclear debate has always come down to diplomacy versus action, probably the military kind. 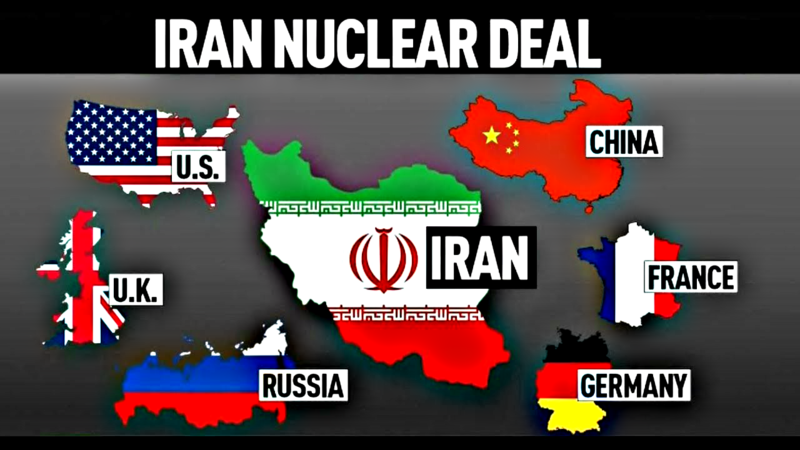 In the coming months we'll probably witness either a new concordat between Iran, Russia, China and the Europeans, with America shoved powerless to the sidelines, or a U.S.-led invasion to topple the regime, as we did in Iraq 15 years ago. Who Knows What's Best for Jerusalem? What do you do when hate lives next door? If you live in this small town where neo-Nazi Richard Spencer has put down roots, you fight back and organize a party for peace. 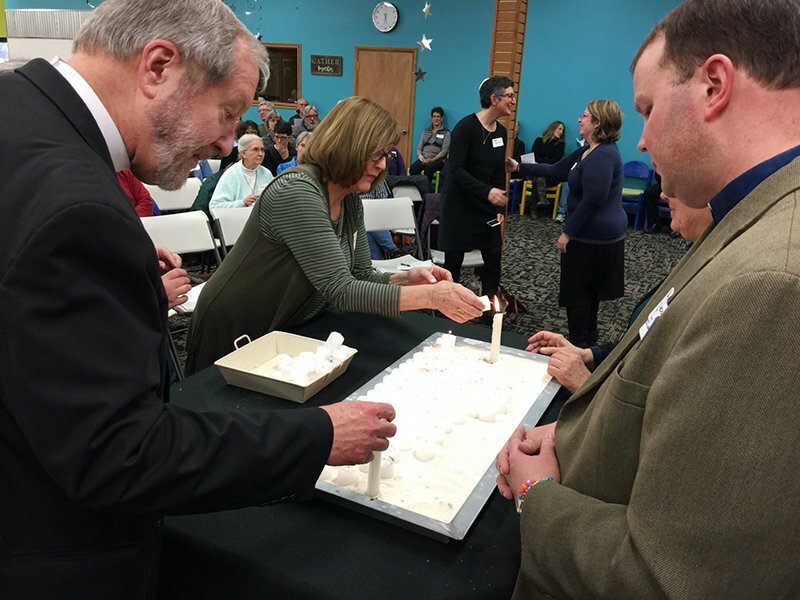 The April 8 gathering grew from an informal support group local clergy formed was the first of what they hope will be regular interfaith "peace services." Student groups at CA Polytechnic State University led by the Black Student Union are calling on the university to increase the funding of all cultural clubs at the university except those that are "aligned with Zionist ideology. 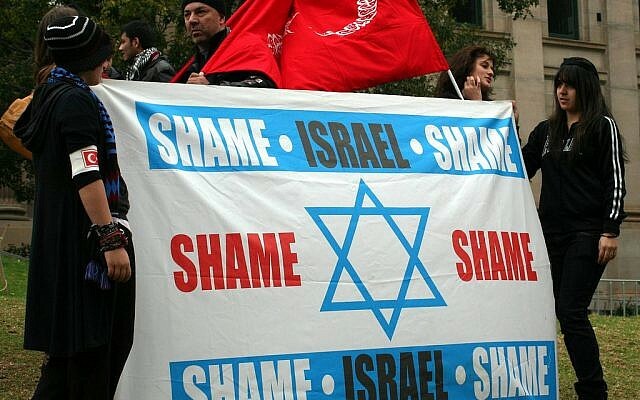 "Campus Jewish groups condemned the demand, You cannot fight exclusion with exclusion." The flyers contain hate messages against Jewish people, encourage people to join pro-white activist clubs and direct people to a neo-Nazi website. 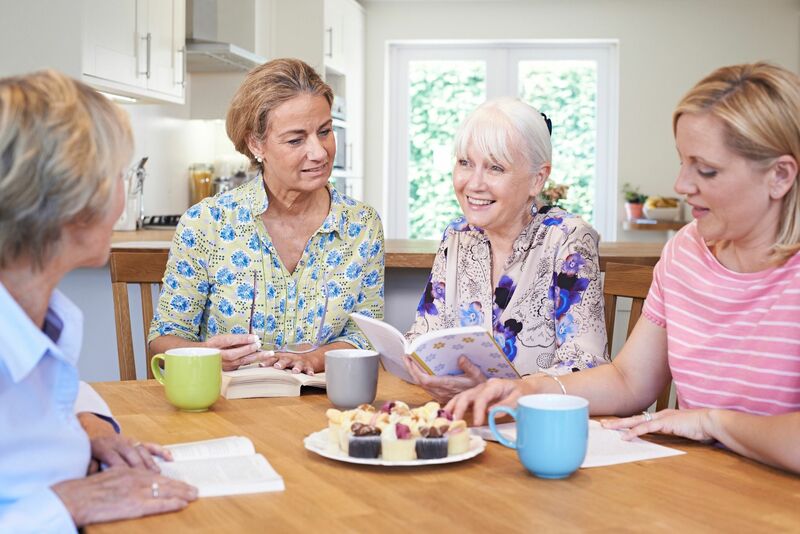 There are 19 "book clubs" across the nation. Days after Iowa signed the most restrictive abortion law in the country, Planned Parenthood announced they will have a large volunteer training event in July. The Power of Pink, will bring together 3,000 activists and leaders in Detroit and give them various resources for going back into their communities to then build upon the organization's network. At a time when abortion access is under attack on multiple fronts, reproductive rights advocates must fight back using all options available - from strategic legal challenges to proactive federal legislation. It's not only the right thing for women, it's also an idea the American people firmly support. 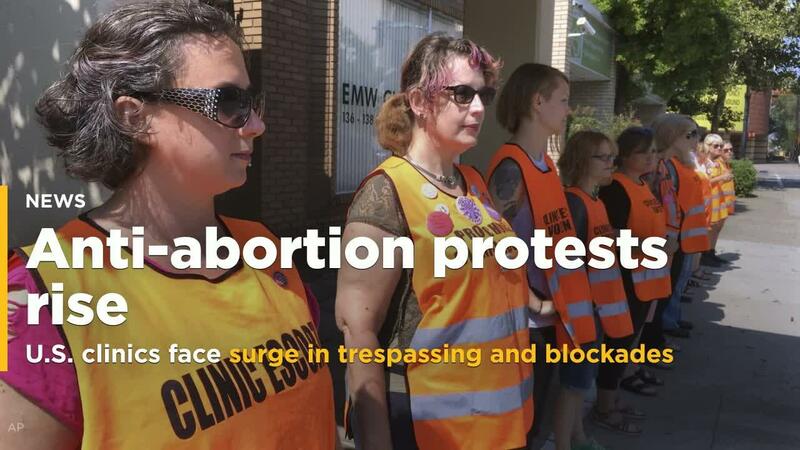 Report found an overall decrease in acts of vandalism against abortion clinics but a significant increase in activities aimed at disrupting services and intimidating patients and providers. "Protesters are feeling emboldened by the political environment and seeing what they could get away with. They want to make it more difficult to provide care, without going to very extreme forms of violence," said National Abortion Federation. White Evangelicals' Continued Support of Trump Feels Surprising. It Shouldn't. White evangelicals voted for Trump because he was a conservative and a Republican. The sources of their conservatism are independent of their nominal religious beliefs (or, more precisely, their conservative politics and their religious affiliation stem from similar causes). They would have voted Republican if Roe v. Wade had never occurred. They would have voted for any other Republican. But if there was something special to them about Trump, it was that he expressed their own rage and their own disowned desires. A proposal that could allow Louisiana school employees to pray with students during the class day edged closer to final legislative passage, despite concerns it could embroil the state in litigation. Louisiana has some of the strongest pro-prayer-in-school laws on the books. 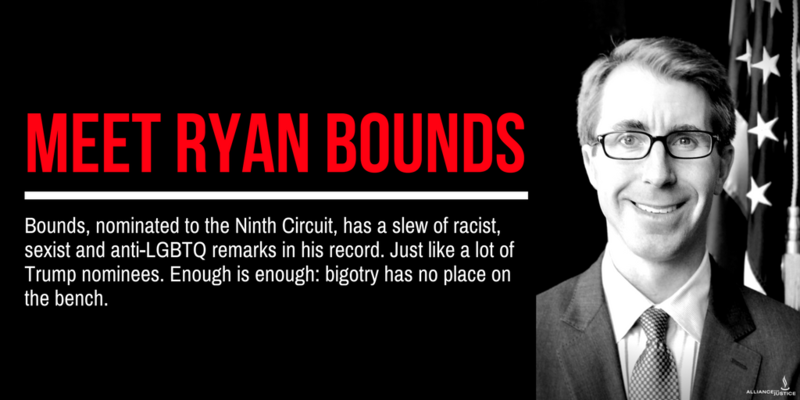 Ryan Bounds' disturbing views on campus sexual assault are not an isolated example of his apparent disdain for civil rights. Now Bounds has been nominated to a lifetime position on the U.S. Court of Appeals for the Ninth Circuit, with a U.S. Senate Judiciary Committee hearing. Urged by Attorney General Jeff Sessions to punish offenders as harshly and as quickly as possible, federal prosecutors have increasingly pursued low-level gun possession cases, Sessions is putting into action his own view on criminal justice - reflecting a philosophy popular among conservatives and backed by the gun lobby - that the effective enforcement of existing laws can reduce crime without resorting to the passage of additional legislation. Democrat Joe Dizard claims being a liberal gun owner hardly makes him a unicorn. 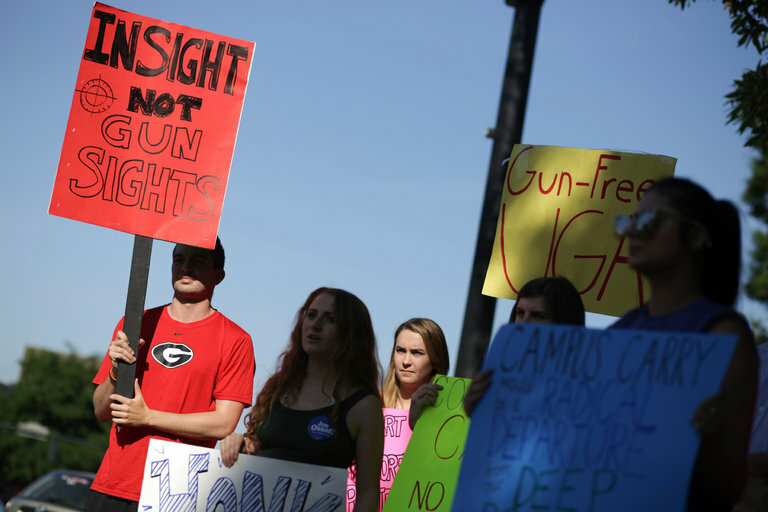 If a left-leaning gun owner seems unusual, it's because there are critical gaps in our nation's collective understanding about who owns firearms in America. A dearth of scientific research on gun ownership, thanks to NRA lobbying efforts contributes to our national ignorance about who owns guns and why. The Pentagon Considers This Russian Sniper Rifle a Big Threat to U.S. Soldiers. The NRA Helped Promote It. 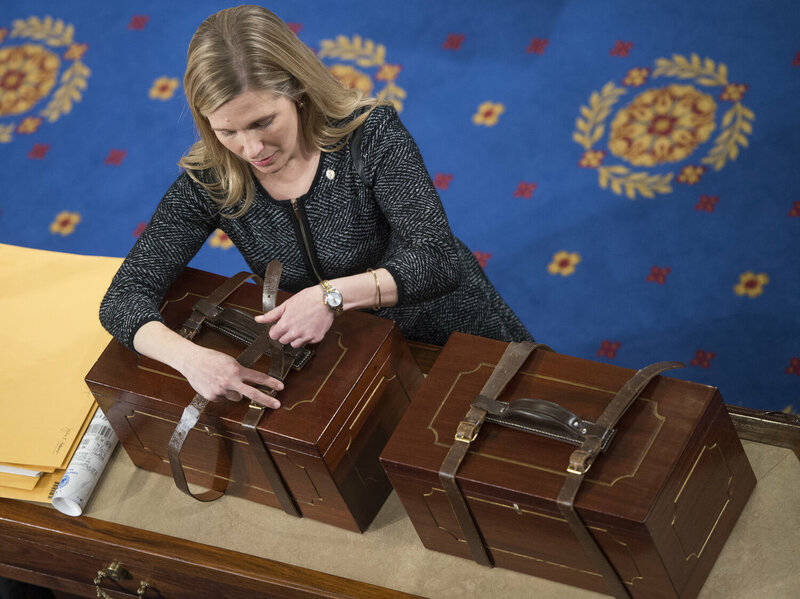 The 2018 political season kicked off in earnest on Tuesday with voters in four states -- Indiana, Ohio, North Carolina and West Virginia -- going to the polls to pick candidates for Senate, governor and House. Here is some of the best -- and the worst -- of the night that was. 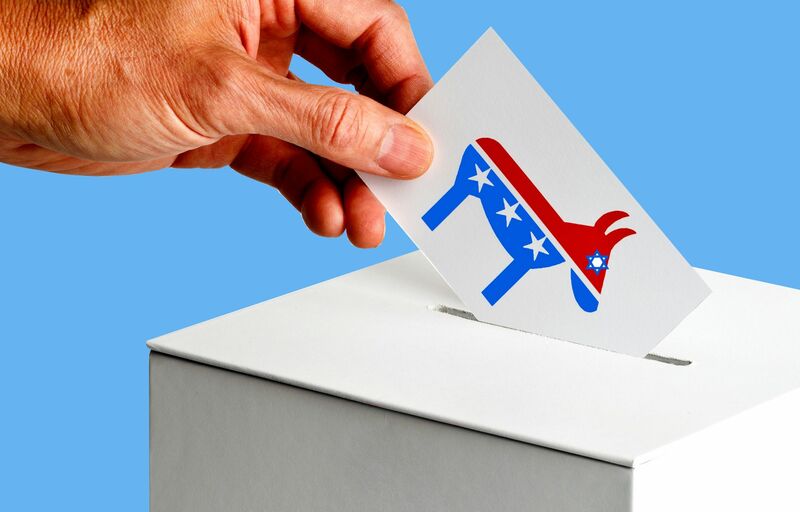 If the Democratic Party is hoping for a "blue wave" to recapture the House of Representatives, it will need to flip at least 23 districts. "There's a heightened involvement of Jews in this election cycle. Jewish women marching, then becoming very active on behalf of candidates, being turned on the issue of gun control or the issues of women. A path to a majority might lie through the suburbs of major cities." Connecticut is poised to commit its electoral votes to whichever U.S. presidential candidate wins the nation's popular vote giving momentum to a push to change the way Americans elect their president. "With the exception of the presidency, every elected office in the country, from city council, to U.S. senator, to governor, is awarded the candidate who receives the most votes," Gov. Dannel Malloy said. Criticism of the Electoral College system has increased after Al Gore and Hillary Clinton won popular vote but lost the electoral vote. Growing up, I always knew Bubbie's job was important, but I never fully appreciated the extent of her accomplishments until I began studying law. During my first year of law school, it wasn't uncommon for her opinions-or pointed dissents-to be assigned and dissected during class. 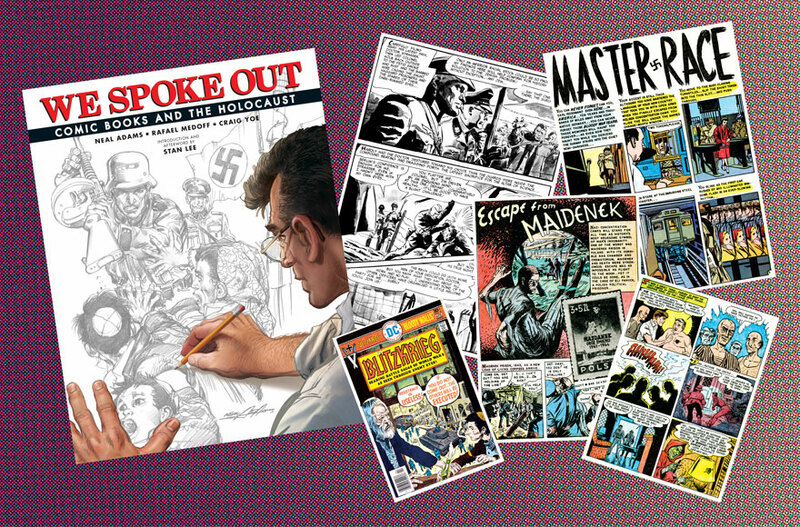 Famed comic book artist Neal Adams and Holocaust historian Rafael Medoff teamed up to create a comic about a Czech Jewish artist forced to paint watercolors of Roma prisoners in Auschwitz. "It struck us that comic books apparently were one of the ways in which American teenagers were learning about the Holocaust at a time when most of them were not learning about it in school." Introducing JACII, a JAC group for young professionals, advocates, and those young at heart who are looking to get involved. Groups have started in Detroit, Chicago, and Los Angeles. The LA chapter's first event will host Elissa Slotkin, candidate for the U.S. House in Michigan's 8th district on June 10th from 5:30-7:00 pm. Contact the JAC office for details. Events will feature elected officials and speakers in lively settings. JACII is by and for young people. Now is the perfect time to get involved. Know someone who would be interested in joining or hosting a meeting? Let us know at info@jacpac.org. We will be happy to help organize a JACII in your city. "They call them activists. That's what they're calling themselves. They're not activists - this is civil terrorism. This is the kind of thing that's never been seen against a civil rights organization in America." Oliver North, NRA President, speaking about the students from Parkland, Florida criticizing the NRA. for his new book "Big Guns"
featuring Fred Guttenberg, father of Jaime Guttenberg who was killed in the Parkland school shooting, and founder of Orange Ribbons for Jaime Foundation. Mr. Guttenberg will be joined by two students from Marjory Stoneman Douglas High School in Parkland, FL. Joint Action Committee for Political Affairs (JACPAC) is a pro-Israel PAC with a domestic agenda. We support a strong U.S.-Israel relationship and advocate for reproductive health and the separation of religion and state and incorporate other issues of importance to the Jewish community, including gun violence prevention and climate change. In addition to providing financial support for U.S. Senate and House campaigns, JACPAC educates our membership with outreach events designed to inform and activate their participation in the political process. Federal law requires political committees to report the name, mailing address, occupation and employer for each individual who contributed to JACPAC. Maximum contribution per person may not exceed $5,000 per calendar year. According to law, JACPAC cannot accept corporate contributions. Membership, gifts, or other payments to JACPAC are not deductible as charitable contributions for federal income tax purposes.